Home / News / The Profile: Know More Deeply About the Bishop Dag Heward-Mills. The Profile: Know More Deeply About the Bishop Dag Heward-Mills. He has a peculiar ability to motivate people to do the work of the ministry. The purpose of the ministry of Bishop Dag Heward-Mills is to fulfil the great commission of Jesus Christ by taking the message of salvation to all peoples of the world. 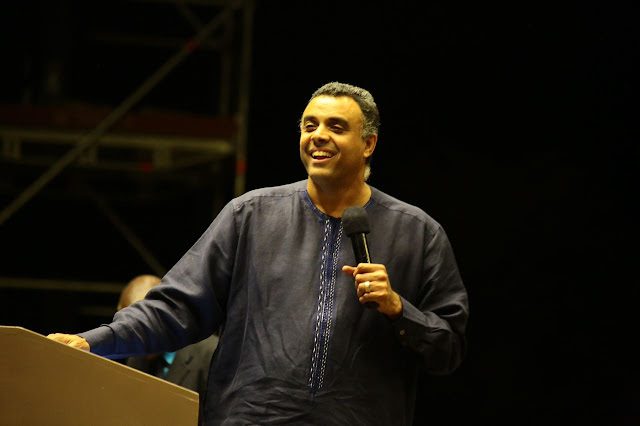 Bishop Dag Heward-Mills is the founder of the Anagkazo Bible School, a full-time Bible school with several thousand students worldwide, aimed at inspiring others to ministry. Bishop Dag Heward-Mills is also recognised for holding Work of the Ministry Conferences in many different countries of the world. These events are aimed at equipping church leaders and workers with the anointing of the Holy Spirit, the culture of Loyalty and practical guides to ministry. Founded the Lighthouse Chapel International in 1988 - Lighthouse Chapel International now has over 3122 churches - Lighthouse Chapel International churches are in 86 countries worldwide. Has over 20 million books in print - Books have been translated into 43 different languages : English, French, Russian, Spanish, Portuguese, German, Amharic and Korean.